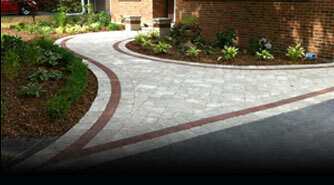 McKay Landscapes offers a variety of services to help create the perfect landscaping project. A popular alternative to brick, clay or concrete, interlocking stones are an economical and aesthetic approach to building a lasting, high quality driveway, walkway or patio. Stronger and more attractive than concrete or asphalt, interlocking stones are a valuable addition to your outdoor home product. 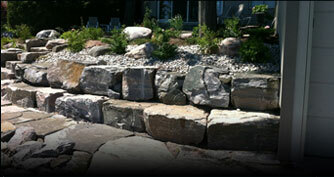 With a variety of colours and styles to choose from, McKay Landscape offers interlocking stonework to improve the look of your home and meet your outdoor landscaping needs. Hillside living can often result in an array of undesirable slopes, which can pose risks of drainage, soil erosion and soil movement. McKay Landscape offers retaining wall construction which combats these issues and resists the pressure of soil or water to ensure erosion control on your property. With a variety of beautiful styles to choose from, a retaining wall can offer a beautiful and practical component of your landscaping project. Whether for patio flooring, walkways, or walls, McKay Landscape provides natural stonework solutions to improve the look of your home. A traditional approach to home improvement, natural stonework presents a classic and timeless look for your outdoor living space. McKay Landscape promises top craftsmanship and quality so your natural stone home improvements will last for generations to come. 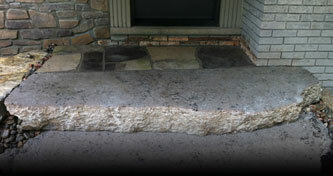 McKay Landscape offers quality excavation solutions for your property. 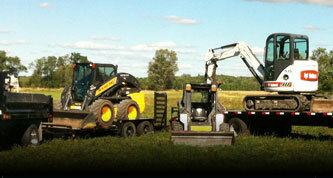 We ensure erosion control and effective and efficient site clearing, while using top-of-the-line excavation equipment. Our team of trained and experienced professionals will ensure that your excavation project meets the top quality standards. 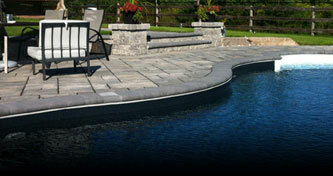 Refresh yourself daily with a relaxing pool or waterfall feature in your own backyard. McKay Landscape offers beautifully finished stone work to surround your pool and complete your at-home oasis, and gorgeous waterfalls to complete your garden. Whether you’re creating a new place for the kids to play or a special place for you to retreat, McKay will work to provide you with a beautiful pool or waterfall feature for you to enjoy. Losing property space to the ever-changing shoreline can mean a decrease in value of your home. 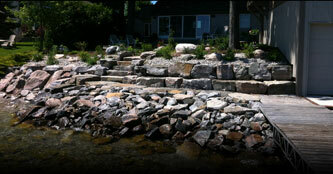 Protect your waterfront property from erosion caused by lakeside wind and ice by working with McKay Landscape to install a shorewall at your home. Using only the best equipment and expertise, we’ll work with you to maximize your shoreline and guard against any unpredictable changes in your waterfront.